The relative rarity of pediatric cancers has hampered the work of uncovering their causes and developing new therapies, but efforts to expand the use of genomic and biomarker testing are beginning to provide new options for children and their families, as well as more information to help tailor therapeutic plans. In particular, investigators are looking to target markers that may occur in multiple tumor types in hopes of finding better treatments for recurring and refractory disease and for rare cancers that carry poor prognoses. A prime example of this trend is larotrectinib (LOXO-101), a pan-TRK inhibitor with FDA priority review status for adult and pediatric patients with locally advanced or metastatic solid tumors with oncogenic fusions involving TRK proteins, which are encoded by NTRK genes. In a trial including pediatric patients with infantile fibrosarcoma, other soft issue sarcomas, and papillary thyroid cancer, larotrectinib induced an objective response rate (ORR) of 93% in those with TRK fusion–positive malignancies (n = 15).1 The median age of patients in the cohort was 4.5 years (range, 1 month-18 years). “NTRK is a very good target. It is driving so much of a tumor’s growth that when you treat, it impacts the tumor’s clinical behavior. It’s not a very frequent target, but it’s clearly a very clean target,” said Rajen Mody, MBBS, a pediatric oncologist at the University of Michigan C.S. Mott Children’s Hospital in Ann Arbor. Larotrectinib has excited interest not only because of its efficacy and the fact that it is one of the first agents developed as a “tumor-agnostic” drug, but also because its developer, Loxo Oncology, took the unusual step of including both adult and pediatric patients in the first trials. TRK fusions are rare, occurring in about 0.5% to 1% of cancers overall, and Loxo had to cast a wide net to populate its trials with patients who harbored the abnormality. Larotrectinib’s development suggests a path that more new agents could take. It also points to the importance of expanding molecular marker testing of pediatric cancers and including both investigational and existing drugs in young patients in clinical trials, oncologists said. If the pharmaceutical industry’s enthusiasm for targeted drugs boosts development of pediatric therapies, that would represent a change from past practice. Pediatric cancer drugs are less profitable than adult drugs, and pediatric-specific drug development has been uncommon. Young patients are often excluded from trials because of safety concerns or worries that a serious adverse effect (AE) in a child could torpedo a promising new drug, Hwang said. The absence of clinical trial data means the different tumor and AE profiles seen in children go unexplored, and child-friendly liquid formulations are often unavailable. Although Hwang and others say they remain frustrated by the slow pace of drug development, regulatory changes and advances in testing technology are chipping away at the lag in research. Over the past 2 decades, federal laws and regulations have mandated pediatric studies for certain drugs and provided incentives for the development of new drugs for rare pediatric diseases.5 As genomic testing has become important in cancer treatment generally, pediatric oncologists have been quick to follow suit, initiating projects to integrate gene sequencing into clinical management and contributing to catalogs of genomic alterations. In 2014, NewYork-Presbyterian Columbia University Medical Center began sequencing all patients with high-risk pediatric cancers and now uses foundation funding to provide the service to all qualifying New York–area children, said Glade Bender, who previously was medical director of the sequencing program. Genetic analysis is becoming more common at large pediatric cancer centers, although Hwang noted that many patients are still not tested, especially at smaller centers where many children are treated. “That’s a problem,” he said. “It’s expensive to do genomic testing, only a few places can do it, and it takes time.” In addition, tissue samples are often not preserved or fully analyzed, depriving investigators of data needed to develop new therapies, although foundation-funded groups like the Children’s Brain Tumor Tissue Consortium are working to fill that gap, Hwang said. 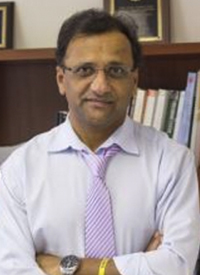 Chemotherapy, stem cell transplant, surgery, and radiation remain mainstays of pediatric oncology and hematology, but a small list of targeted therapies is available to treat cancers with mutations identified through genetic testing, particularly gene fusions, which Mody said drive 35% of pediatric cancers. They include one of the first targeted therapies, imatinib (Gleevec), a tyrosine kinase inhibitor used to treat Philadelphia chromosome–positive chronic myeloid leukemia (Ph+ CML) and acute lymphoblastic leukemia (Ph+ ALL). Two successor drugs, dasatinib (Sprycel) and nilotinib (Tasigna), were also approved for pediatric Ph+ CML over the past year. More targeted therapies could be approved for pediatric indications in the near future. Larotrectinib appears to be moving toward approval for treatment of locally advanced or metastatic solid tumors harboring a TRK fusion. Other previously approved drugs that may become part of the pediatric toolkit include crizotinib (Xalkori) and ruxolitinib (Jakafi), Glade Bender said. Crizotinib produced ORRs of 83% and 90% among pediatric patients with relapsed/ refractory ALK-positive anaplastic large cell lymphoma treated with 165 or 280 mg/m2, respectively, and 86% across 3 doses for those with inflammatory myofibroblastic tumors, according to study findings. In all, 40 patients ranging in age from 3.7 to 20.8 years were treated during the trial.11 Crizotinib is being studied in at least 17 trials that include juvenile patients, according to ClinicalTrials.gov. A very rare example of a pediatric-only approval is that of the immunotherapy drug dinutuximab (Unituxin), the first therapy specifically approved for neuroblastoma. It was developed by the NCI and COG and distributed by the NCI under a compassionate use exemption beginning in 2009. In 2015, the FDA approved the drug in combination with IL-2, granulocyte-macrophage colony-stimulating factor, and 13-cis-retinoic acid for pediatric patients with high-risk neuroblastoma who responded to prior induction therapy. “Few pediatric-specific drugs have been making it to the market. You can give 1 or 2 examples, while 20 other drugs get approved for adult indications, so we need more examples like that,” Mody said. Although oncologists often remark on the proliferation of cancer-signaling gene abnormalities and other biomarker targets for which they lack therapies, pediatricians bemoan the investigational drugs that exist in labs but remain out of their reach because the manufacturers declined to pursue pediatric indications. “It is frustrating, because we don’t get to try the innovations that are coming out of the most recent discoveries, which is hard,” Hwang said. To speed advances in new medicines for pediatric cancer, COG and NCI emulated the NCI-MATCH basket trial and launched Pediatric MATCH for treatment of solid tumors in July 2017. The trial is testing 3 drugs approved for treatment of adult cancers—the PARP inhibitor olaparib (Lynparza), the CDK4/6 inhibitor palbociclib (Ibrance), and the BRAF kinase inhibitor vemurafenib (Zelboraf)— along with larotrectinib and 5 other investigational agents. Mody, a COG investigator, said the group selected additional agents but their manufacturers declined to participate for various reasons. Unlike NCI-MATCH, Pediatric MATCH is so far testing only single-agent therapies, not combinations. Glade Bender and Hwang acknowledged the need for single-agent studies to provide clean safety and response data for each drug, but they said experimental monotherapy usually does not produce robust responses, particularly in children who have relapsed multiple times, and they look forward to advancing to combinations. Hwang called such studies a “necessary evil to get through” but also praised Pediatric MATCH for accelerating the process. “A lot of the slowness in investigating these trials is from the operationalizing of a single trial. There’s so much that goes into writing, developing, getting approved, finding funding, and finally opening a clinical trial that all too often the science has moved very quickly and the rationale for opening that trial has disappeared or been mitigated significantly. The basket trial is a huge advance over serial phase I trials,” he said. In addition to improving cure rates and quality of life, the use of novel therapies for certain cancers may eventually reduce reliance on traditional chemotherapy, which can have long-term effects on fertility, kidney function, cognitive function, and other systems in patients who have survived pediatric cancer, oncologists said. For diseases with high cure rates such as standard-risk pediatric B-ALL and non-Hodgkin lymphoma, some clinical groups are experimenting with lower-intensity regimens to see whether efficacy can be maintained while reducing the toxicity and discomfort of standard treatments. Glade Bender said dramatic responses from targeted therapies like larotrectinib and crizotinib suggest that those patients might do well with less chemotherapy. She noted that genomic testing can also help stratify patients and allow those with good prognoses to forgo more toxic therapies. Yet Hwang also offered the counterexample of a trial he heard about that attempted to lower the chemotherapy dose for infants with a medulloblastoma with high cure rates but had to be quickly halted when the cure rate started to fall. “People are trying to reduce doses, but unfortunately you don’t always have that option,” Mody said. Laetsch TW, DuBois SG, Mascarenhas L, et al. Larotrectinib for paediatric solid tumours harbouring NTRK gene fusions: phase 1 results from a multicentre, open-label, phase 1/2 study. Lancet Oncol. 2018;19(5):705-714. doi: 10.1016/S1470-2045(18)30119-0. NCI-COG Pediatric MATCH. National Cancer Institute website. cancer.gov/about-cancer/treatment/clinical-trials/nci-supported/pediatric-match#2. Updated June 25, 2018. Accessed August 21, 2018. Cancers that develop in children. American Cancer Society. cancer.org/cancer/cancer-in-children/types-of-childhood-cancers.html. Updated August 22, 2016. Accessed August 14, 2018. Cancer in children and adolescents. National Cancer Institute. cancer.gov/types/childhood-cancers/child-adolescent-cancers-fact-sheet. Updated August 24, 2017. Accessed August 14, 2018. Best Pharmaceuticals for Children Act and Pediatric Research Equity Act. US Food and Drug Administration. fda.gov/ScienceResearch/SpecialTopics/PediatricTherapeuticsResearch/ucm509707.htm. Updated March 22, 2018. Accessed August 14, 2018. Mody RJ, Wu YM, Lonigro RJ, et al. Integrative clinical sequencing in the management of refractory or relapsed cancer in youth. JAMA. 2015;314(9):913–925. doi:10.1001/jama.2015.10080. McCowage GB, Mueller S, Pratilas CA, et al. Trametinib in pediatric patients with neurofibromatosis type 1 (NF-1)–associated plexiform neurofibroma: a phase I/IIa study. Abstract presented at: 2018 ASCO Annual Meeting; June 1-5, 2018; Chicago, IL. Abstract 10504. meetinglibrary.asco.org/record/161541/abstract. Miller C, Guillaume D, Dusenbery K, Clark HB, Moertel C. Report of effective trametinib therapy in 2 children with progressive hypothalamic optic pathway pilocytic astrocytoma: documentation of volumetric response. J Neurosurg Pediatr. 2017;19(3):319-324. doi: 10.3171/2016.9.PEDS16328. Trametinib in treating patients with relapsed or refractory juvenile myelomonocytic leukemia. ClinicalTrials.gov. clinicaltrials.gov/ct2/show/NCT03190915. Updated August 15, 2018. Accessed August 21, 2018. A phase I/II study of trametinib in children and adolescents with solid tumors. Memorial Sloan Kettering Cancer Center. mskcc.org/cancer-care/clinical-trials/15-036. Accessed August 14, 2018. Mossé YP, Voss SD, Lim MS, et al. Targeting ALK with crizotinib in pediatric anaplastic large cell lymphoma and inflammatory myofibroblastic tumor: a Children’s Oncology Group study. J Clin Oncol. 2017; 35(28):3215-3221. doi: 10.1200/JCO.2017.73.4830. Khandelwal P, Teusink-Cross A, Nelson A, et al. Ruxolitinib as salvage therapy in steroid refractory acute graft versus host disease in pediatric hematopoietic stem cell transplant patients. Biol Blood Marrow Transplant. 2017;23(7):1122-1127. doi: 10.1016/j.bbmt.2017.03.029. Combination chemotherapy with or without ganitumab in treating patients with newly diagnosed metastatic Ewing sarcoma. ClinicalTrials.gov. clinicaltrials.gov/ct2/show/NCT02306161. Updated August 21, 2018. Accessed August 21, 2018. Charnow JA. Checkpoint inhibitors appear safe for pediatric cancer patients. Oncology Nurse Advisor. oncologynurseadvisor.com/asco-2017/understanding-the-use-of-checkpoint-inhibitors-in-pediatric-oncology/article/667958. Published June 12, 2017. Accessed August 14, 2018. Pembrolizumab in treating younger patients with recurrent, progressive, or refractory high-grade gliomas, diffuse intrinsic pontine gliomas, hypermutated brain tumors, ependymoma or medulloblastoma. Clinical Trials.gov. clinicaltrials.gov/ct2/show/NCT02359565. Updated August 21, 2018. Accessed August 21, 2018. DeRenzo C, Krenciute G, Gottschalk S. The Landscape of CAR T cells beyond acute lymphoblastic leukemia for pediatric solid tumors. Am Soc Clin Oncol Educ Book. 2018;38:830-837. doi: 10.1200/EDBK_200773.